This post-shave balm is cool, refreshing and gives a soothing effect to your skin. 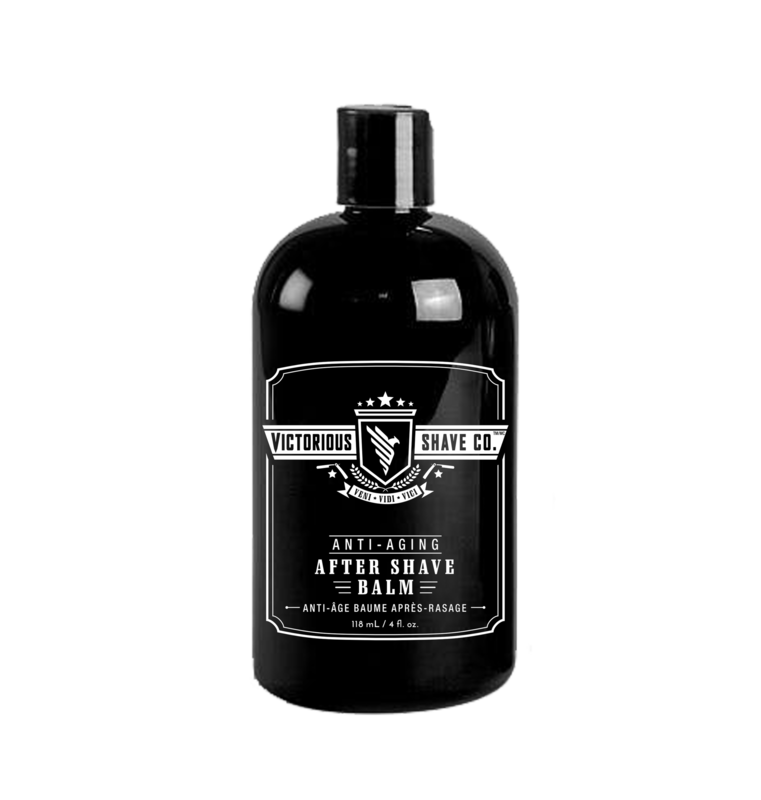 Victorious after shave anti-ageing balm helps to restore your skin’s natural moisture and reduces irritation by making your skin soft and glow all day. This Anti shaving balm is handcrafted and specially designed for men who want to experience royal shaving experience at home in Canada. This versatile balm can be used as a post-shave balm or as a facial moisturizer. It deeply nourishes your skin and fights dryness to protect your skin all day long. Extract a small amount of balm from your anti ageing balm bottle. Warm the balm by rubbing it into your palms and then apply it to the skin. Rub gently on your skin until it gets fully absorbed. You are bound to fall in love with our post grooming session products, after using our range of products only once. Give it a shot today. Buy before it’s too late. This After Shave Anti Aging Balm deeply nourishes my skin and smells absolutely fresh and clean. Such product are rare and hard to find. But when i used this one first time, I became fan of it. This is really a special. First impression, The bottle is smaller than I thought it would be. The cooling effect is excellent especially after the shave. It doesn’t burn and sting when using an after shave. This is the best aftershave anti aging balm that I’ve ever used. It is just the right consistency, not too thick. The scent is a pleasant and mild, and gives a fresh feel to the face. This is a amazing after shave tonic. If you are looking for a shaving balm with a moisturizing effect, then you got to grab this shave balm. It works well for me because it does not leave my skin feeling oily. Long lasting effect.